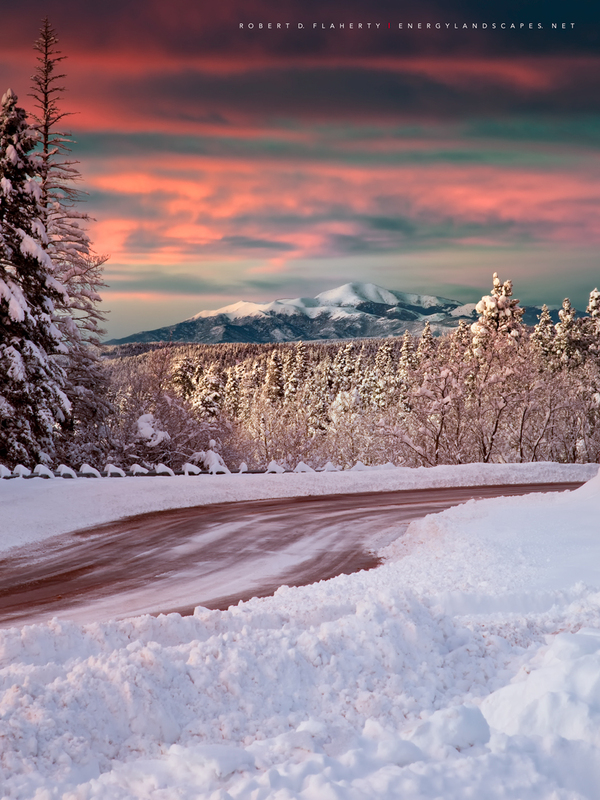 The image Magic Moment was taken December 3rd 2009 three miles South of Cloudcroft New Mexico on the Sunspot Highway. Sierra Blanca is seen under a blanket of 30 inches of fresh snow. The 2009 / 2010 Winter season turned out to be the snowiest Winter of the last seven years. See this print and more fine art landscape photography at my studio gallery overlooking Ruidoso New Mexico. Fine art landscape photography by Robert D. Flaherty. . Photo © copyright by Robert D. Flaherty.